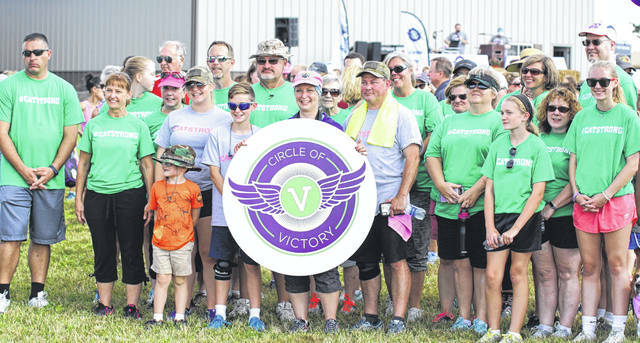 Barb Slone | Greene County News - Circle of Victory brought people together to honor those lost and those fighting cancer to raise money and awareness on Oct. 7 at Apple Country Farm Market. COV Ambassador Cathi Sargent (center) of Xenia is surrounded by family and COV friends during the walk and fundraiser. Patty Davis of Fairborn started the Circle of Victory tradition 25 years ago. Greene Medical Foundation President Jeff Brock talks to Circle of Victory attendees and the mission to help cancer patients in Greene County. Circle of Victory brought people together to honor those lost and those fighting cancer to raise money and awareness on Oct. 7 at Apple Country Farm Market. COV Ambassador Cathi Sargent (center) of Xenia is surrounded by family and COV friends during the walk and fundraiser. 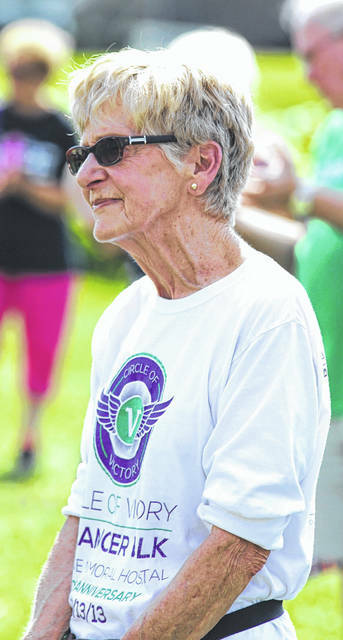 https://www.fairborndailyherald.com/wp-content/uploads/sites/50/2018/10/web1_cov2.jpgPatty Davis of Fairborn started the Circle of Victory tradition 25 years ago. 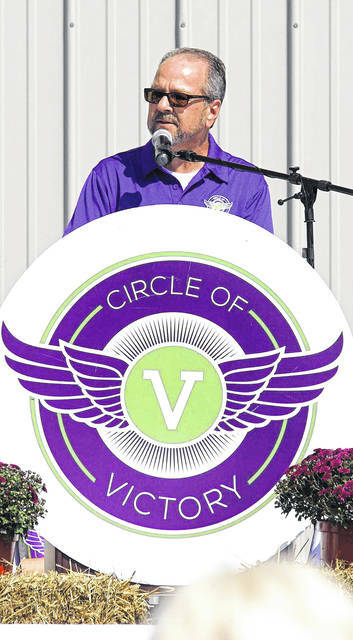 https://www.fairborndailyherald.com/wp-content/uploads/sites/50/2018/10/web1_cov7.jpgGreene Medical Foundation President Jeff Brock talks to Circle of Victory attendees and the mission to help cancer patients in Greene County.